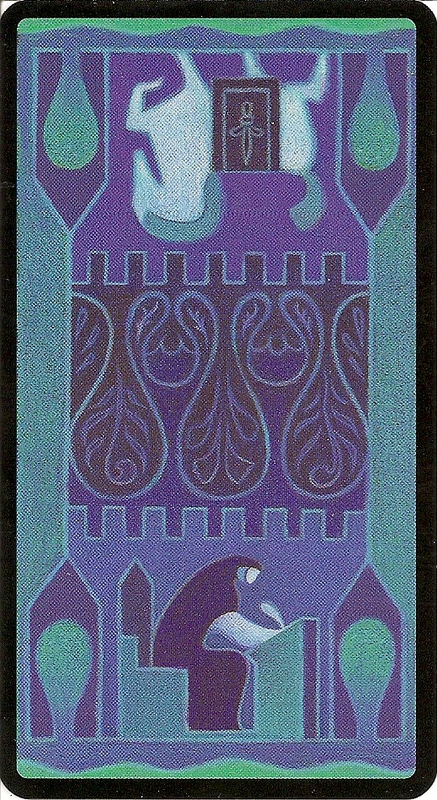 This Deck is named after the Italian philosopher and poet Dante Aligheri (1265-1321). 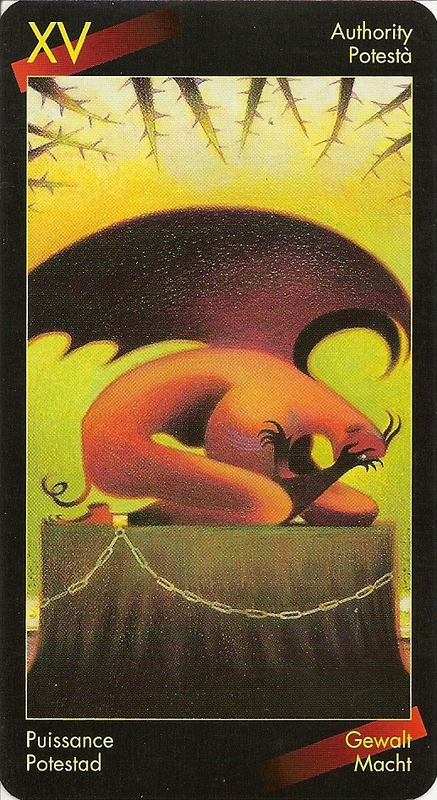 The Dante Tarot is a themed art deck, not a standard tarot deck. 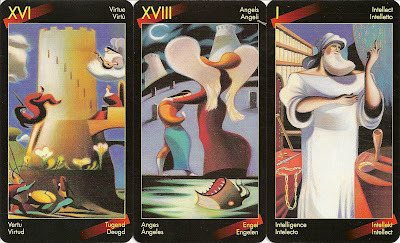 The 22 major arcana cards combine ethical, philosophical, and spiritual concepts, as expressed by Dante in his Convivio, with the traditional tarot images. 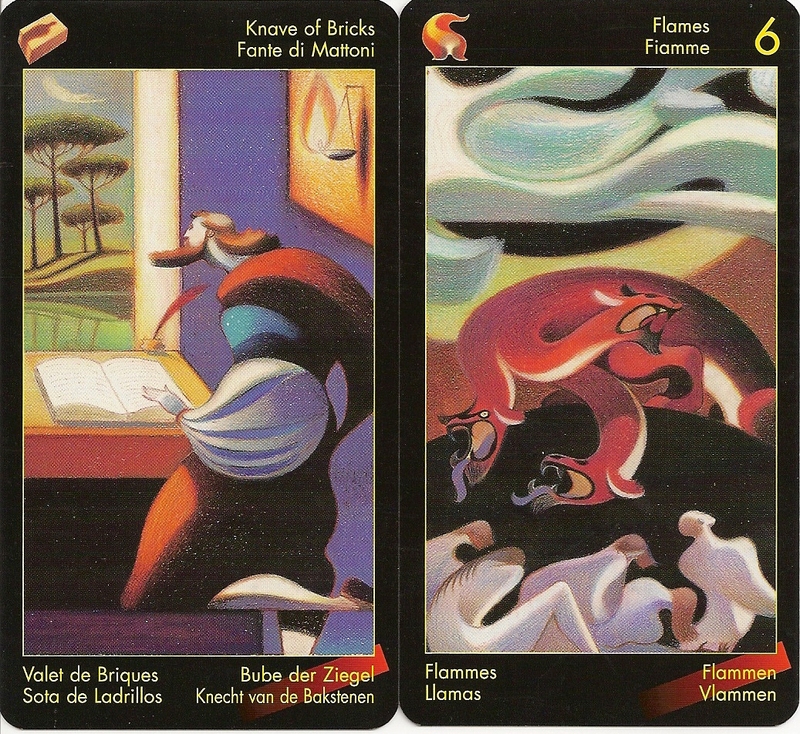 The suit of Bricks (Pentacles) traces Dante's life, depicting influential characters, his work, and his marriage. The other three suits correspond to the sections of the Divine Comedy. Flames (Swords) depict the main events shown in Dante's Inferno. 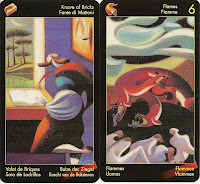 The cards feature Charon, Cerberus, the suicides, and the King of Flames -Dante’s meeting with the Devil, which is the culminating event in the Inferno. 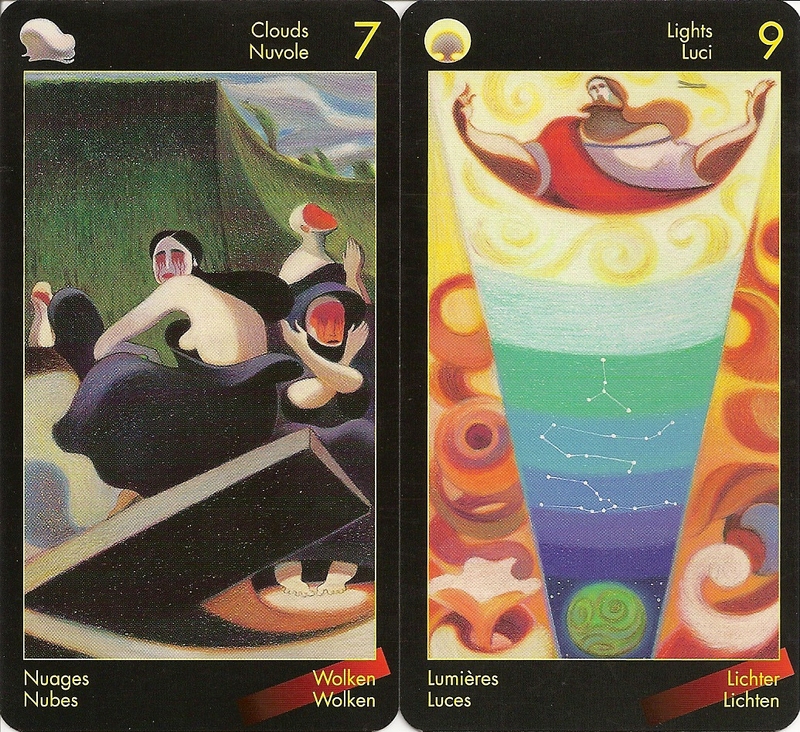 The suit of Clouds (Pentacles) shows slices of Purgatorio, the place where souls come to reflect their earthly sins. Lights (Cups) representing Paradiso-the ascension into heaven. The backs are not reversible, and depict Dante seated at his desk, writing the Divine Comedy with a feathered pen. The LWB gives background information on Dante and explains how the works of Dante were integrated into the framework of the tarot. The artwork is surrealistic and created in pastels.